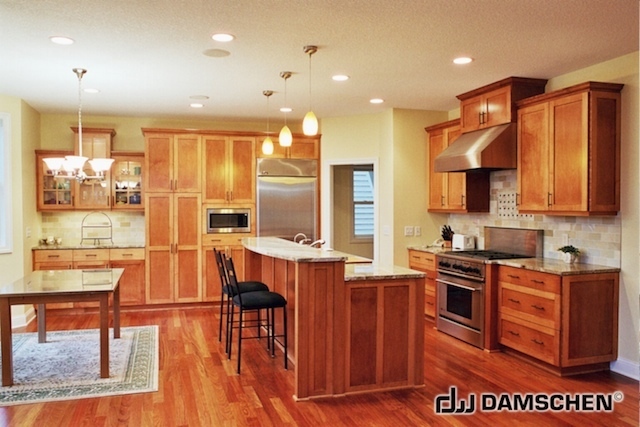 Damschen Wood can help you create a custom look for your kitchen, bathroom, bedroom, home office, or any room. Maybe you want to duplicate cabinetry from a photo or magazine, or you have an unusual space that makes pre-fab or semi-custom out of the question. We have a custom cabinetry solution for you. 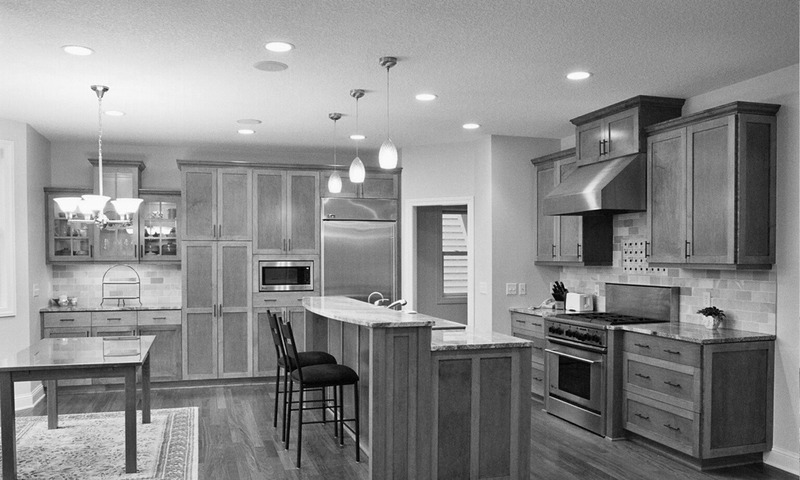 Custom cabinetry uses an original design and no pre-fabricated or semi-custom pieces. Custom cabinetry maximizes the use of space in your home and creates a look that is uniquely yours. We design each piece from start to finish, including layout, materials, surfaces, and finishing touches. Custom cabinetry is often equal in cost to semi-custom cabinets. Its unique flexibility adds tremendous value to living spaces and homes. Our staff of designers, engineers, and fabricators is ready to help.